the fixed point of the system. 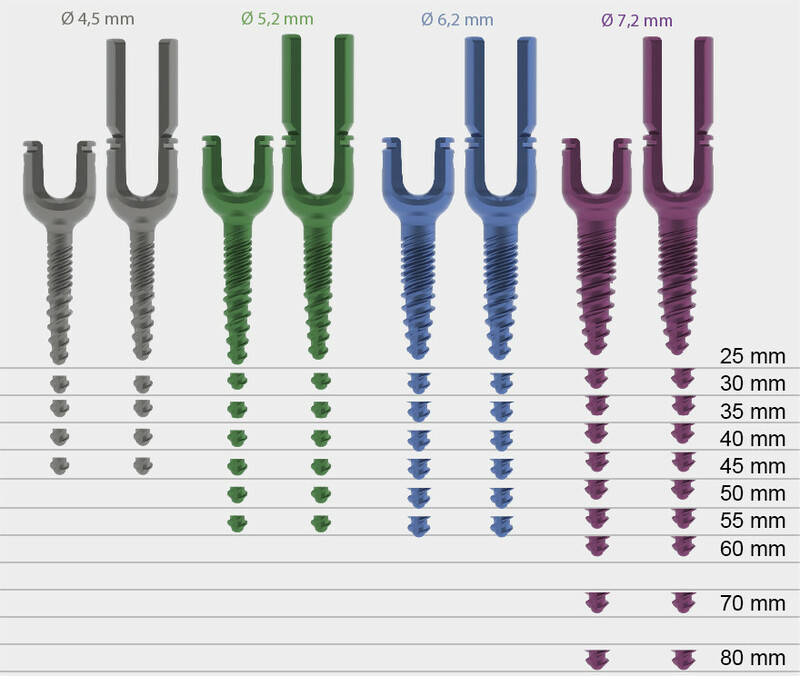 The rigid connection between the screw neck and the threaded shaft gives the VERTICALE monoaxial screw the greatest possible stiffness. Firm connection. The continuous connection prevents movement between the head and the shaft as well as between the screw and the instrument. 4.95 mm screw neck diameter. Lends the screw the necessary robustness. Double-lead thread. The 5 mm thread pitch facilitates rapid insertion. Self-tapping screw tip. 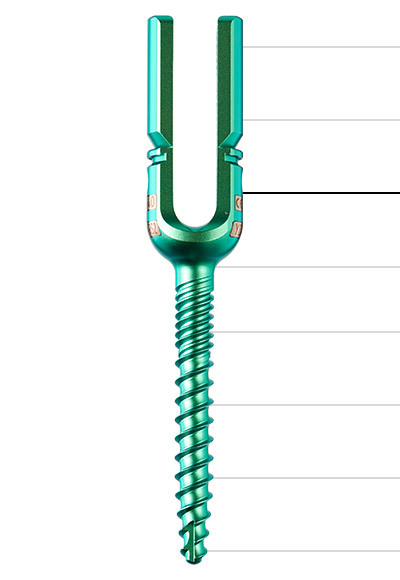 The distal cut on the shaft provides good initial grip and and supports screw insertion.